Discussion in 'Recipes' started by orlandotiger, Jan 18, 2009. I totally forgot about rechecking this thread. yes, we tried it and it was really good. I didn't have an onion handy so I didn't use one. I think I will try it again at the end of this week or beginning of next with the onion. Batty, yours is up tonight. Actually I am kinda mixing yours and stacey's. I am going to lightly coat some chicken breasts and bake them. Then do your pasta and veggies. When the chicken is done I am going to slice it up and put it on top of the pasta/veggies. I think it will add a bit more texture and be a little more filling because Mike is a big dinner eater! Cook in a black cast iron skillet (better than teflon pots) or one of those grills you can cook with over the stove top (comes in 2 pieces, with the cover you can press down and flatten the burger a bit). I like cooking mine until it chars it pretty good. Obviously that part is up to you. Talk about a great burger. Simmer beans, onions and butter, between low and medium for about 25-30 minutes. Be careful it will cook down and thicken up quite a bit, I constantly add a little water to get it back to the consistency I like. I probably end up adding nearly a cup of water after all is said and done over that 30 minute period. I also use Betty Crocker cornbread mix (it's the best I have had store bought mix). Try not to bake it for the entire 16 minutes, 14-15 minute mark and you got some incredibly soft cornbread muffins. I prefer making them into muffins, easier to dole out the portions that way (I make 6 from one batch). Be careful with the cayenne, you should probably end up with about 1-3 teaspoons if I had to guess. Quick and easy? Cut a good top sirloin into cubes. Season with salt and pepper. Brown then add a little water and simmer a while to tenderize. Add julienned onions and bell pepper and teriyaki sauce. Don't let the peppers get too soft. Serve with white rice and use chopsticks. That was my kids' favorite meal. My Mom was a working mom and she had a dozen casseroles that were quick and easy and I loved them all. The seafood casserole, green bean, and chicken casseroles were really, really good for a 30-minute dish. But my favorite as a kid was my Dad's quick hunting-camp mexican casserole. make successive layers of tamales, chili and chips, double deep in a casserole dish. Top with cheese. Bake until the tamales are hot and the cheese is toasted. An old girlfriend of mine made a great stir-fry with thin-sliced chicken, chopped walnuts and teriyaki sauce served over a parsley and green onion rice. Damn strong. Cool. I can access these parts that I have never been able to before. Thanks to someone. Any how here is one that is easier than it sounds. 11. Preheat oven to 350ºF. Cut eggs in half lengthwise. Remove yolks and set whites aside. In small bowl, mash yolks with fork. Stir in 1/2 cup of cheese, milk, salt, and pepper until well blended. Fill each white with one heaping tablespoon yolk mixture. Place in 8x8x2-inch baking dish. I gotta admit it. That Zatarain's gumbo base out of the box is pretty sublime if you add frozen okra and crabmeat to whatever else you got lying around. I was asked once what was the best gumbo I ever made and I replied that to me the best gumbo was the one in front of me. Kind of like New Orleans brass bands - The best one is the one I happen to be in front of. I do remember the worst gumbo I ever made. 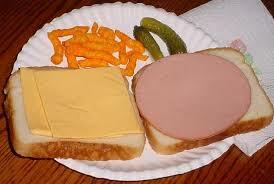 I was a sophomore at LSU and I had celery, onion, garlic and bell pepper flour, oil and rice.....and Bologna. Yep, I made bologna gumbo. It was pretty bad, but it was a lot better than a sandwich.:lol:. i have one like that except i put chili in a baking dish, then cheese, then jalapenos, then cornbread batter.